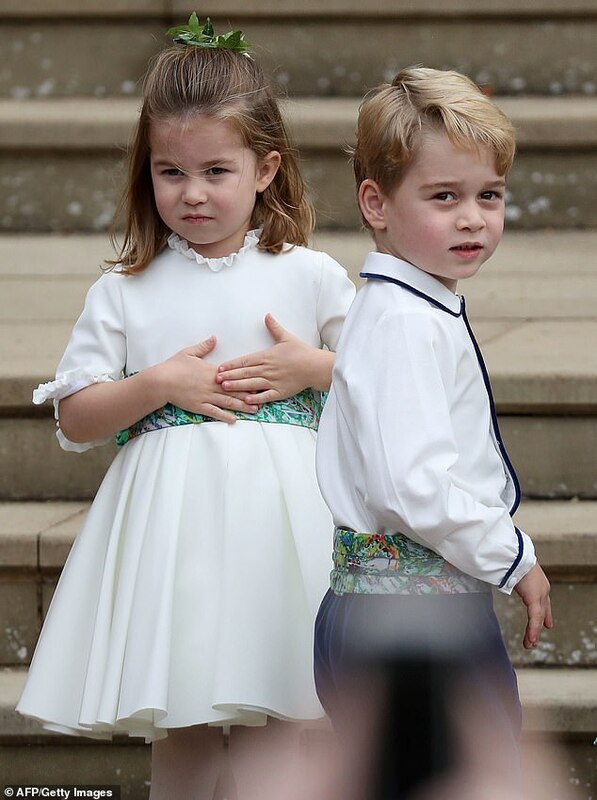 The Duke and Duchess of Cambridge threw a children’s party at Kensington Palace yesterday with party games, crackers making and lots of sweets – but there were three little people who didn’t make it on to the guest list. 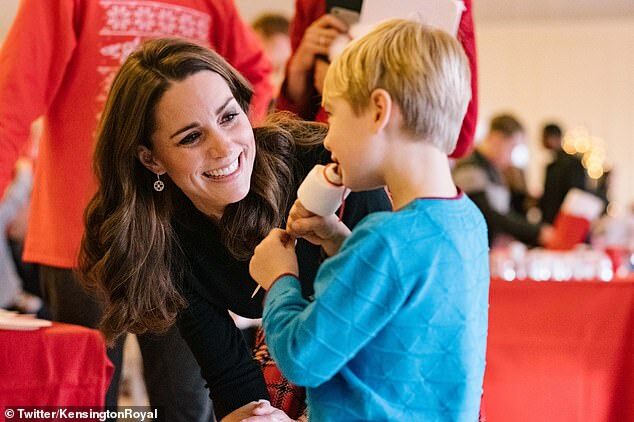 The royals threw open palace doors for a party for families of deployed personnel from RAF Coningsby and RAF Marham, but didn’t take their children George, five, Charlotte, three, and eight-month-old Louis along to the celebrations. 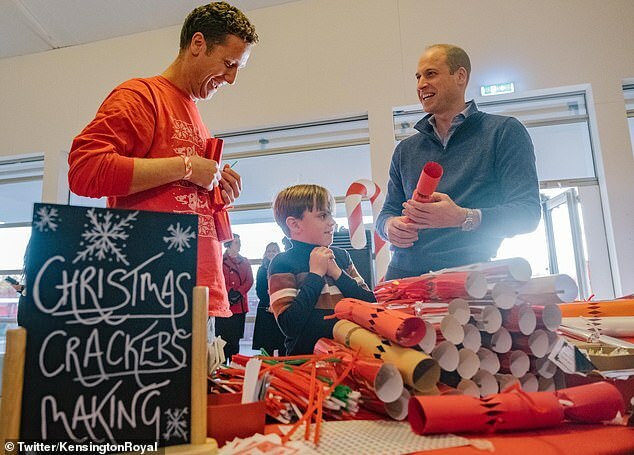 And as William joined in making chocolate treats with youngsters, a party guest who was perhaps hoping to catch a glimpse of the royal children asked the Duke: ‘Where’s your kids?’. 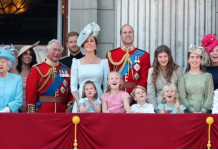 ‘I can’t do this and look after my children at the same time,’ he replied, laughing. 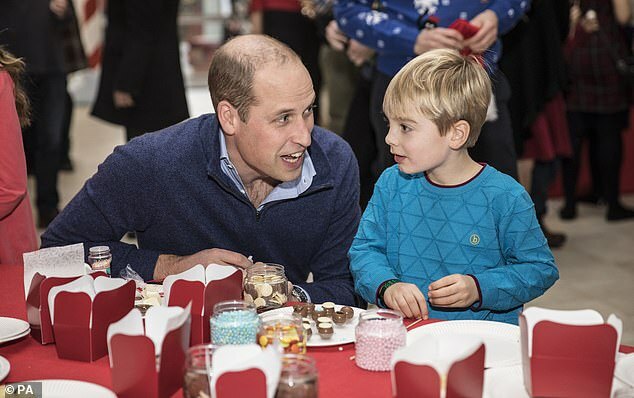 During their chocolate making session, a five-year-old boy called Harry O’Grady introduced himself to the Duke. 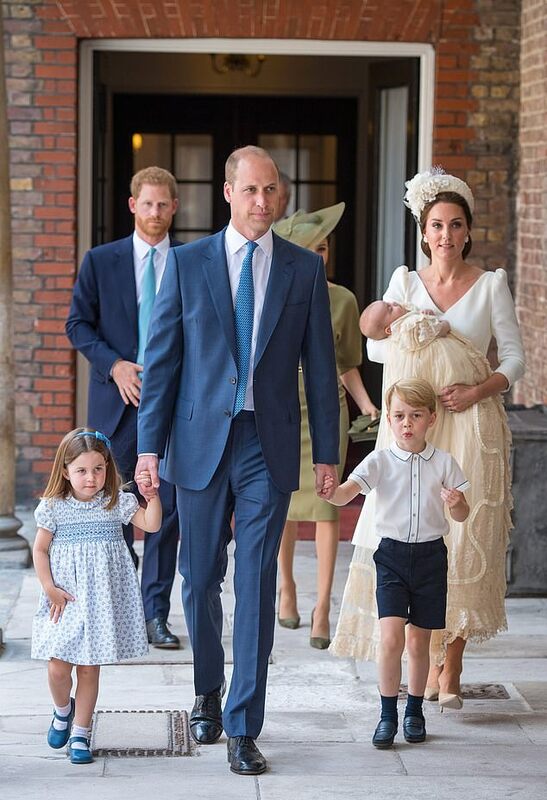 Today the royals will travel to RAF Akrotiri in Cyprus tomorrow on a special ‘Royal Mail’ flight loaded with gifts and cards for personnel from their families. 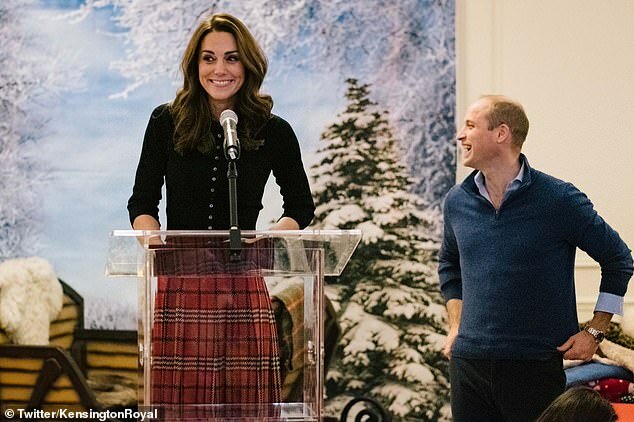 William and Kate will meet men and women separated from their loved ones over the festive period as they take part in operations against Islamic State (IS). 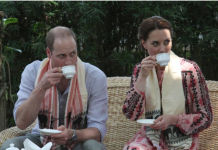 During their brief visit to RAF Akrotiri on the Mediterranean island, the duke and duchess will meet military personnel, families living on the base, wider station personnel and members of the local community. 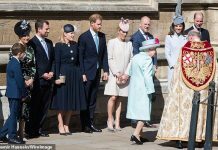 The couple will visit and officially open the recently renovated Oasis centre, a recreation area used when the military are not on shift. They will also be bringing presents from some of the families they met on Tuesday for military personnel deployed at the RAF base. 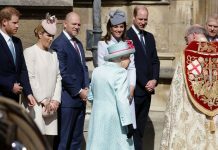 William is Honorary Air Commandant of RAF Coningsby in Lincolnshire, which is home to Typhoon squadrons which deploy to Cyprus and fly operations in support of Op Shader, the UK’s contribution to the ongoing campaign against IS. RAF Akrotiri is the home of the Cyprus Operations Support Unit, which provides joint support to British Forces Cyprus and operations in the region to protect the UK’s strategic interests.